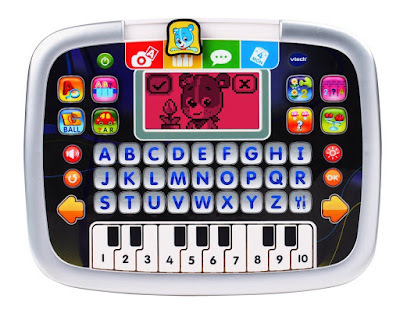 The four years old Girls are more sensitive than boys and their likes and dislikes different from boys so keeping in mind we are suggesting some toys that can help them develop and enhance their social and emotional skills especially in term of sharing and communicating with their friends and grown-ups with more confidence. We think toys are best that motivate child's imaginary, creative abilities as well as physical strength and body control. Especially colours play the most important role that defines toys for girls and the girls also relate themselves with some colours like pink and purple etc, so we can't avoid this fact. Otherwise, toys itself not discriminate between boys and girls except few toys. The four years old girl recognizes herself as a girl and she looks at her parent's makeup, especially mom's makeup and gets curious about makeup. 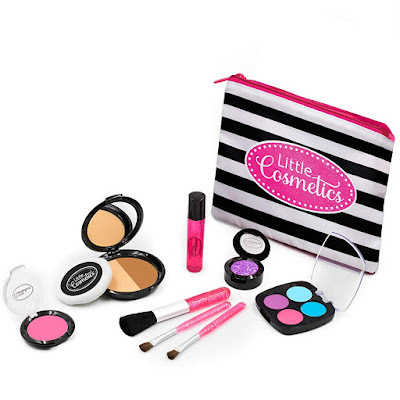 The Pretend Makeup Essential Set helps girls to know the things and pretending makeup like mom. This set is perfect and completely fake pretend makeup for girls. This set includes Pretend compact with shatterproof mirror, glitter pot, blush, eye shadow, lip gloss, cosmetic bag and real makeup brushes. 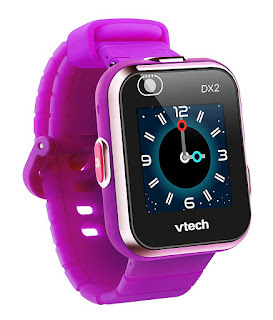 This Vtech KiddiZoom DX2 Kids Smart Watches features 3 fun activities, 5 games, 3 action challenges and a motion sensor. Smartwatch is perfect for 4 years plus kids, has more memory so kids can take tons of pictures and videos. The watch has 2 tools calendar and a calculator so your child can work out simple addition, subtraction, multiplication and division problems, This Smartwatch display comes with 50 plus digital and Analog clock face design also including alarm, timer and stopwatch functions. Using the included Micro-USB cable, they can upload photos and videos as well as recharge the battery. The four year is the perfect age to learning bike riding through trikes, three wheels provide safe riding( no extra balancing efforts and no risk of falls). 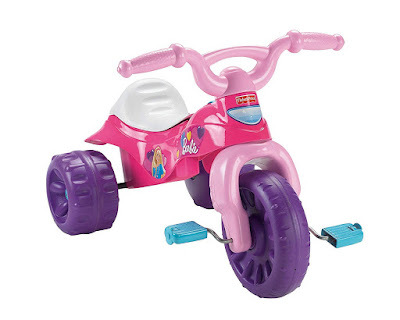 The Barbie Tough Trike is perfect for girls, they love Barbie and other her accessories in this age. Kids friendly features a wide, stable wheel base, easy grips handlebars and big foot pedals. Also included a secret compartment under the comfort ride-seat. The trike helps in riding and learn balance, pedalling and steering. 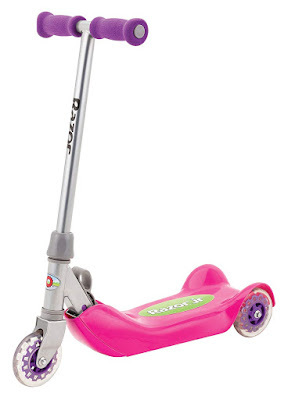 The Folding Kiddie Kick Razor(Pink) has made riding a scooter fun and easy for children four years and under. Its stand-alone, three-wheel design makes for a more stable ride. 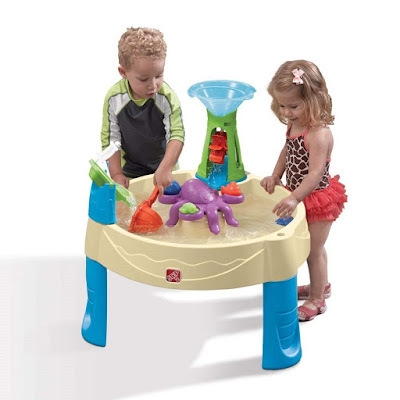 The super slip-resistant deck keeps kids on their little toes and easy to grip soft foam handle. The new folding mechanism makes it portable. the scooter runs on leg power so its a great for strengthening the muscle of the lower limb while at the same time promotes foot-hand-eye coordination as well as maintaining balance. 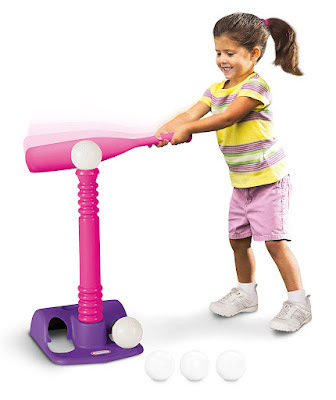 'T' ball set is good for your kid's (Both boy & girl) baseball practice, it includes 1 bat, 1 prop for the ball and 5 white balls, 1 prop base with "hang-on-the-wall" design for small space storage. The baseball bat set simply designed with a large head which makes it easy to hit the ball in just one action. The handle of the bat is designed to be slim that your kid can properly wrap his or her hand on the circumference of entire handle. this ensures more balance and greater force in taking the swing. The manufacturer recommended minimum age 18 months old kid. 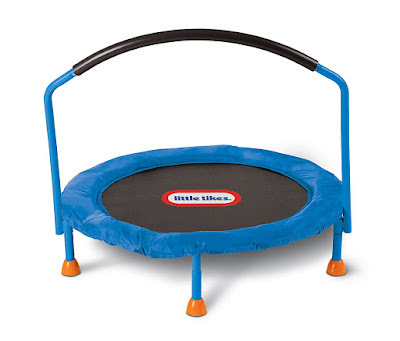 This Little Tikes 3' Trampoline is perfect for your kids off the couch onto the equipment for some jumping sort of fun. This is designed with absolute safety for kids in mind. It includes an integrated handlebar and super-sturdy trampoline fame. The manufacturer recommended age minimum of 3 years old. Little Tikes Shopping Cart resembles the grocery stores shopping cart, It is good for four years girl. Now you can get the pink shopping cart for the little girl so that your girl can take when you go shopping at the grocery store. The basket has enough space whatever your kid grabs in the grocery store. 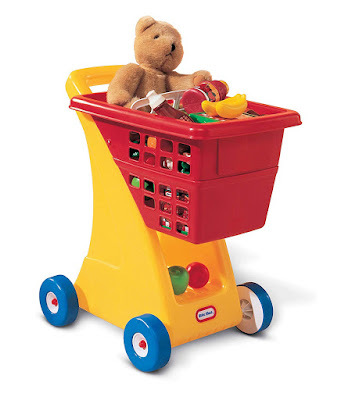 Also, the toy shopping cart helps in pretend shopping at home. 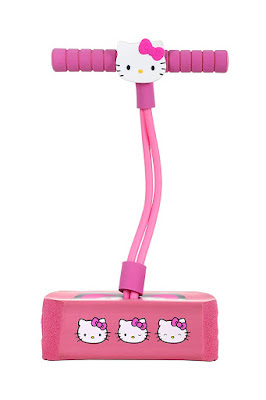 Hello Kitty Jump And Squeak Foam Pogo Jumper by Flybar is made from a soft durable foam base, a strong stretchy bungee "spring" and soft comfortable foam grip handles. 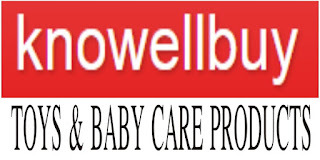 It is good for indoor and outdoor surface never scratches any surface. This jumper helps to burn kids extra energy in a constructive way and improving their cardiovascular health and having fun at the same time. This is good for 4 years old girl. Not bounce like a conventional pogo stick.